Click the button below to add the Peppermint Foot Lotion #Peppermint Foot Lotion# to your wish list. Give your hard-working feet the attention they deserve and treat them with our Peppermint Foot Lotion that revives tired, aching, dry, and calloused feet. Once applied, this foot lotion is instantly absorbed, quickly penetrating and bringing the relief your hard working feet and you deserve. You may even feel your feet tingle as the Peppermint essential oil goes deep to help relieve aches and tension. Nutritive moisturizers that provide lasting nourishment in the form of vitamins, omega fatty acids and antioxidants set this foot lotion apart from others. I tried many different foot lotions and creams for my extremely dry feet, but nothing worked. Then I used this for just a couple days, and the chapped, dead skin in my heel was gone. Amazing!!! Coconut and Grapeseed oils quickly penetrate to soften even the toughest of skin and callouses. Murumuru butter with Apricot Kernel oil helps relieve dryness and calms irritated skin. 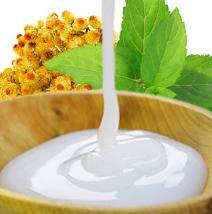 Karanja oil, besides being a great moisturizer, has antibacterial properties that help act as a natural deodorizer. Bayberry Fruit wax helps provide 24-hour hydration by creating a nutritive barrier, softening and relieving skin by locking in moisture. Our formula is greaseless, absorbs into the skin quickly and disappears soon after application. I love this peppermint foot lotion. The smell is very strong however, but it makes you feet tingly and unbelievably soft and silky. So far this is my favorite foot lotion. I like the fact that all the ingredients listed is all natural. This lotion is NOT greasy. I do not like greasy foot lotion because it is difficult to clean off of socks and I don't want to slip and slide on wood floors leaving greasy footprints nor gets stains on the carpet. This lotion has a light pleasant minty scent. It feels refreshing rubbing it into my feet. It does a great job moisturizing dry feet. See great results when used everyday. Feet will look, feel and smell great. This peppermint foot lotion is made fresh in the USA. Use daily or as an overnight foot treatment. Gentle nutritive formula is safe for all skin types. Non-greasy soothing foot lotion relieves dry skin all day long. Karanja oil is an excellent moisturizer and has antibacterial properties that help act as a nutritive deodorizer. Coconut and Grape seed oils quickly penetrate to soften even the toughest of skin and callouses. 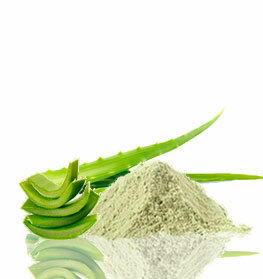 Aloe Vera hydrates and moisturizes skin, keeping it soft and supple. Peppermint and Lavender invigorate the senses. Bayberry Fruit Wax provides 24-hour hydration by creating a nutritive barrier that softens and relieves skin by locking in moisture. Murumuru Butter contains essential fatty acids and vitamins to restore damaged skin. Grape seed and Meadowfoam oils are vitamin rich, long-lasting moisturizers. Apply all over the feet, ideally to just-bathed, barely dry and damp skin to seal in moisture. • Apply lotion to your feet before going bed. • Wear socks to soften skin. • Can be combined with other oils and lotions. Aloe Barbadensis (Aloe Vera Hydrosol), Astrocaryum Murumuru (Murumuru Seed) Butter, Prunus Armeniaca (Apricot Kernel) Oil, Pongamia Glabra (Karanja Seed) Oil, Cocos Nucifera (Coconut Fractionated) Oil, Vitis Vinifera (Grape Seed) Extract, Cetyl Alcohol, Glyceryl Stearate, Butyrospermum Parkii (Shea) Butter, Myrica Cerifera (Bayberry Fruit) Wax, Sodium Lauroyl Lactylate, Glyceryl Caprylate, Limnanthes Alba (Meadowfoam Seed) Oil, Caprylyl Glycol, Glycerin, Mentha Piperita (Peppermint) Oil, Mentha Spicata (Spearmint) Oil, Lavandula Angustifolia (Lavender) Oil. Huge fan...this is my absolute favorite foot lotion. It makes my feet incredibly soft with just one application, and the more I use it, the better my feet feel. I've tried other foot lotions including Dr. Sholl's, and this is by far the best. I'm sticking with this one! I love this product!! It softens my feet. It's not greasy and absorbs immediately so you're not slipping around the floor or greasing your carpet! It relieves my tired feet. The foot lotion also smells great!! This product works wonders!! This lotion leaves your feet revitalized and super soft!! Must try! Excellant Product and great size! Feet feel pain free after use. I absolutely love the foot lotion. It's refreshing and soothing. It's not greasy and my feet feel awesome after I use it. I would recommend this product if you want your feet to feel great. I've tried lot of your products love them all.A lil prices but worth it. This is part of my night time ritual. The cream eases my dry cracked feet and the peppermint eases my mind. Win - win! I use this on my whole body, face included. The peppermint is just gentle enough to create a skin tingle... circulation to my 52 year old face is good for aging & decades long sun exposed skin. If you want a foot lotion that is all natural and moisturizing, this is it! I put it on every time I get out of the shower, when my skin is damp.. Try to take some time and massage your feet after putting the lotion on. After a long day, your feet need some care too. It absorbs quickly and doesn't smell too strong either. I use this peppermint lotion on my whole body, face, and feet. It is quite moisterizing and the peppermint encourages blood flow... good for getting circulatory nourishment to skin surface for better skin health. This is great to reduce aging & sun damage. Goes on smoothly, not too sticky. Also, not as strong a scent as I was scared it would be.